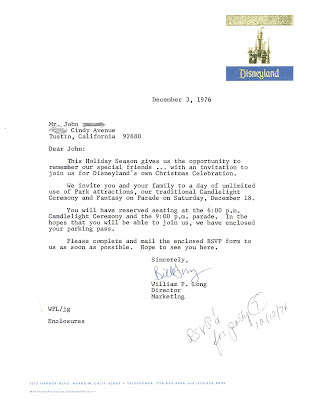 Here's a fun letter from Disneyland dated December 3, 1976. How in the world did you get on this invite list? Unlimited use of all attractions, reserve seating for the Candlelight Ceremony & Fantasy on Parade! 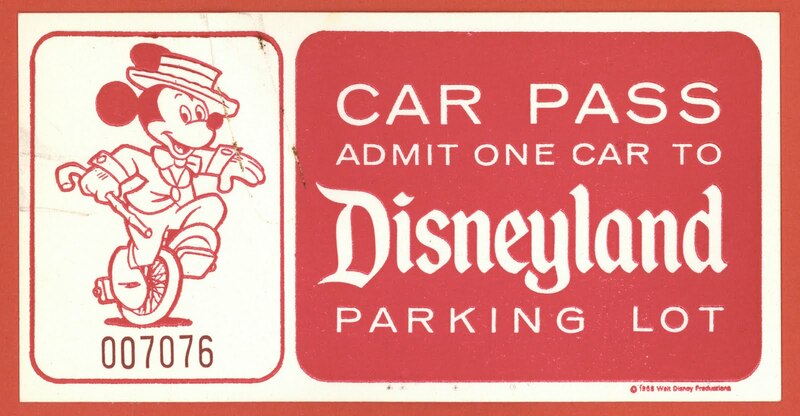 Even free parking was included. 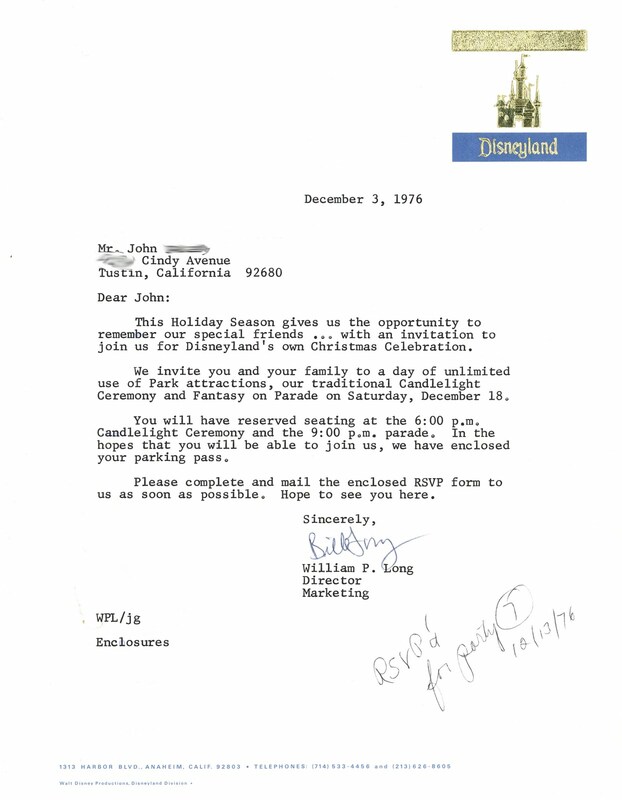 Notice the envelope is post marked December 13, 1976 and notice the recipient of this letter RSVP'd on the same day they received the letter! 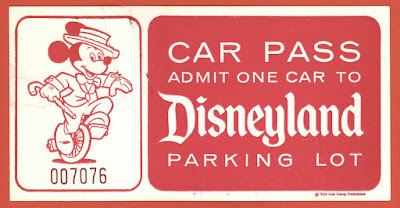 Cool drawing on the ticket. Arrive early for reserve seating. ooh, these are cool. I love to collect stuff from that year. Very nice items! I think it's time to use marching brooms again in a Disney parade. I see Robin Hood characters behind Monstro....maybe it's time to bring them back too! I wonder if he was a vendor representative. FYI, there is no apostrophe in "Holidays."